This lovely resident bird is easy to recognise. The female is less brightly coloured and often somewhat smaller than the male. 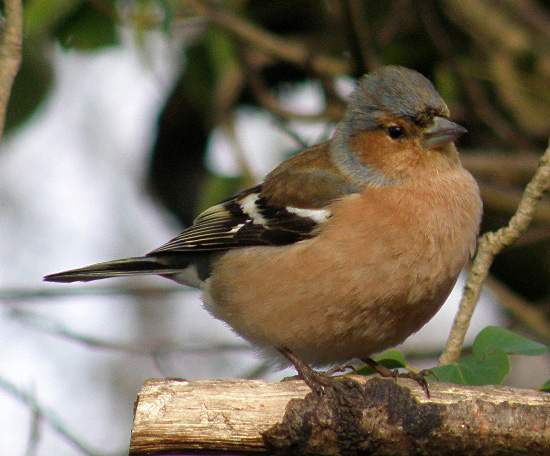 The main sources of food for Chaffinches are buds, berries and seeds. Beech mast is one of their favourite sources of food in autumn and winter. Chaffinches build neat round nests, using moss, lichen, wool, hair and feathers. 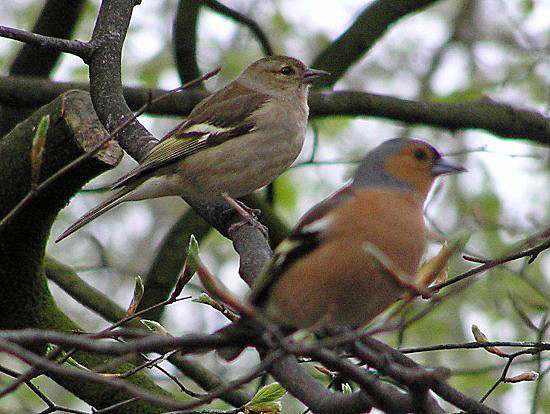 The most common place to see Chaffinches nesting is in the fork of a tree or a bush, where they produce typically four to six grey eggs tinged with pink and covered in brown blotches. Chaffinches are regular visitors to bird tables and hanging feeders, sometimes becoming so tame that they will continue feeding while you sit and watch them from close by.